The Zambezi river is also big - as is the Kafue and the Luangwa rivers. The richness of Zambia's 14 major national parks is showcased in the great variety of wildlife and birdlife species. 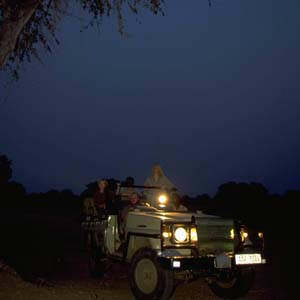 There are birding safaris, walking safaris, canoeing safaris, high action adventures and more. Stay in first class luxury hotels or a bush camp - or choose a guesthouse. As of immediate effect, Zambia has changed their regulations regarding foreign currency use within the country. It will now be necessary to conduct all domestic transactions in local currency. Entrance visa's into the country can still be paid in US Dollars however any monetary exchange within the country will have to be made either with a credit card or Zambian Kwatcha. There are cash-point machines in all international airports in Zambia and guests will also be able to exchange money at the local Bureau de Change. As we cannot guarantee that there will always be money available in the cash-point machines, we recommend that guests travelling into Zambia have a Visa or Mastercard credit and debit card handy. We will keep you updated on any changes.